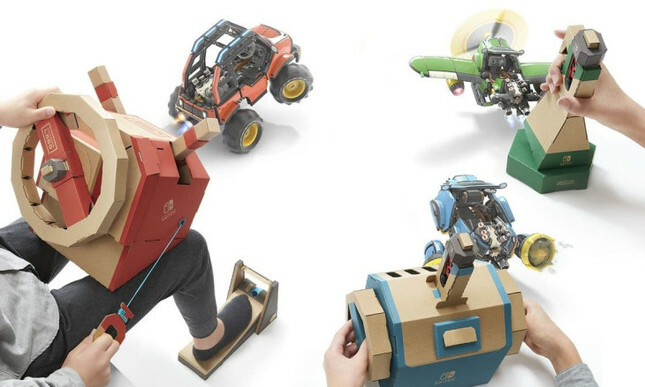 The Nintendo Switch is getting a new addition to its Labo range of cardboard creations. The Vehicle Kit will let players take to land, air and sea in a variety of models – including a car, submarine and plane. Players can switch between vehicles at any time by simply pulling the key (built around a switch controller) from one set of controls and inserting it into another. The Vehicle Kit will support Nintendo's Toy-Con Garage, allowing for further customisation of player's creations. Announced in January, Nintendo Labo released in April with the Variety and Robot Kits. The Vehicle Kit marks the first addition to the range since then. Pre-order Nintendo Labo Vehicle Kit for release date delivery on September 14.